and it will be shipped directly to your doorstep. 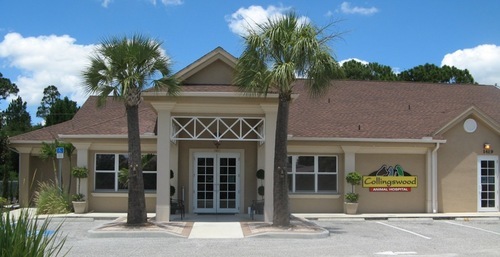 Collingswood Animal Hospital is a full service, exotic and small animal hospital located in southwest Florida. Our hospital is nestled in the middle of where Port Charlotte, North Port and Englewood, Florida meet. We have been providing exceptional medical care to the pets of these tri-county areas since 1990. At Collingswood Animal Hospital, it is our mission to provide comprehensive, high quality veterinary care with an emphasis on exceptional client service and patient care. Our clients are friends as well as customers, and we value their continued trust and goodwill. Beyond first rate pet care, we make our clinic comfortable, kid-friendly, and a very calm environment so your pet can relax in the waiting room and look forward to meeting our veterinarians and staff. We have a number of resources for you to learn about how to take better care of your pets. Browse around and look at our articles and pet videos. The best veterinary care for animals is ongoing nutrition and problem prevention. If you want to ask a question call 941-625-7500 and we'll promptly get back to you. Our office is very easy to get to, and you can find directions on our Contact Us page. In between your veterinary visits, your pet will benefit from you reading these free informative articles. At Collingswood Animal Hospital, we are dedicated to your pet's health.